CHERMOULA is a marinade often paired with seafood, but it also goes well with vegetables. 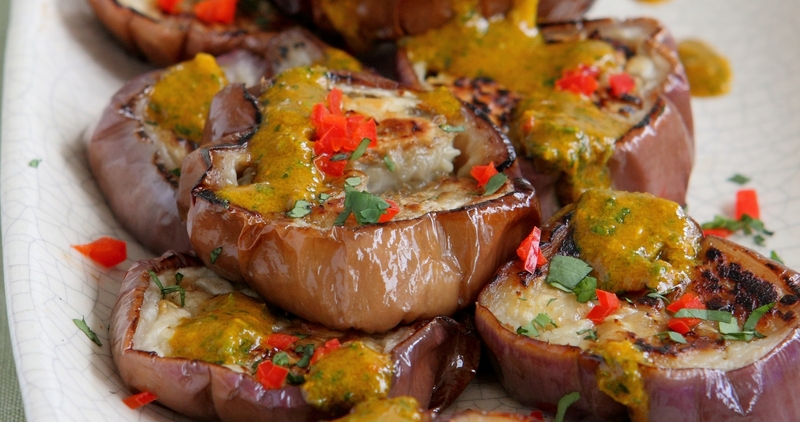 Add some variety to your recipe book with this Grilled Eggplant with Chermoula dish. This recipe was first published in Flavours magazine. Cut the eggplant into 1 1/2cm thick slices and sprinkle with salt. Leave for 20 minutes, rinse and pat dry. Brush the slices with oil and grill for 6 to 8 minutes, turning once, till browned on both sides. Penne Salad with Roasted Pepper Sauce. Falafel with Tahini Yoghurt Dip.